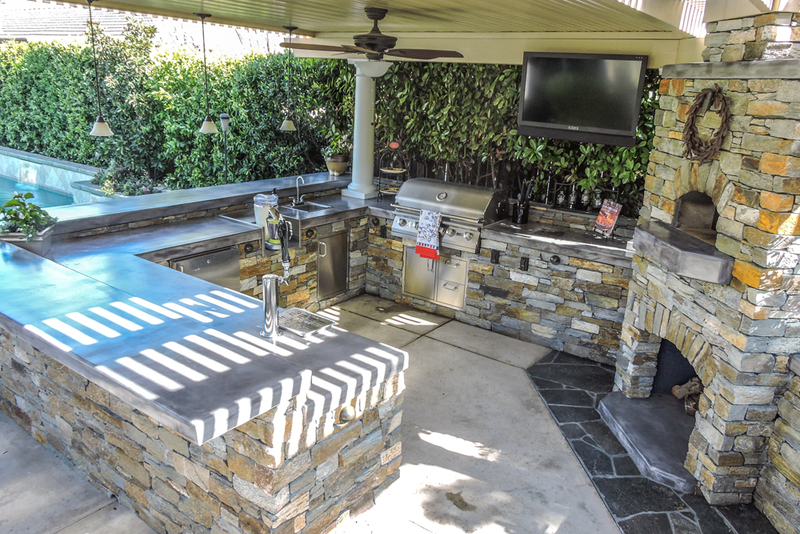 This shady background features an artistic and beautiful outdoor kitchen that has thoughtful design put into all the little details. 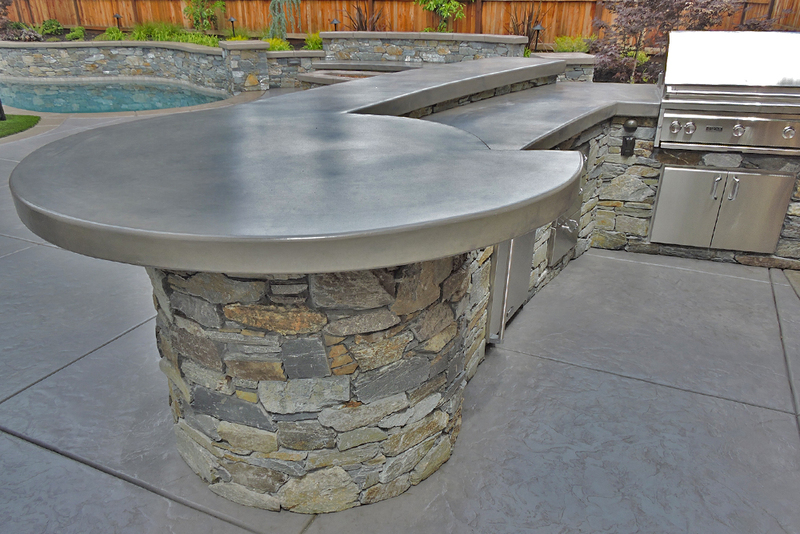 The bar is curved gracefully and features a round end cap that serves as a dinner table at need. 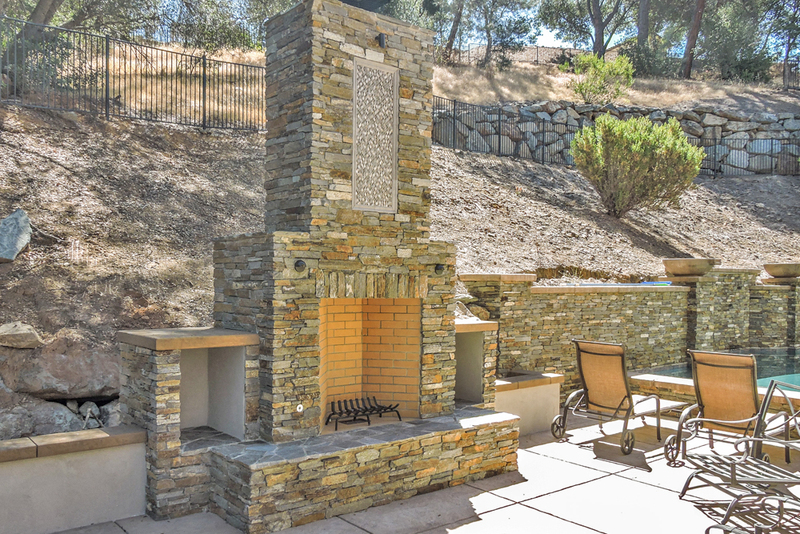 The outside of the kitchen features natural stone on the walls under the counters, but on the inside the look is adobe, which gives the whole kitchen a beautifully warm look and mirroring the exterior of the home itself. 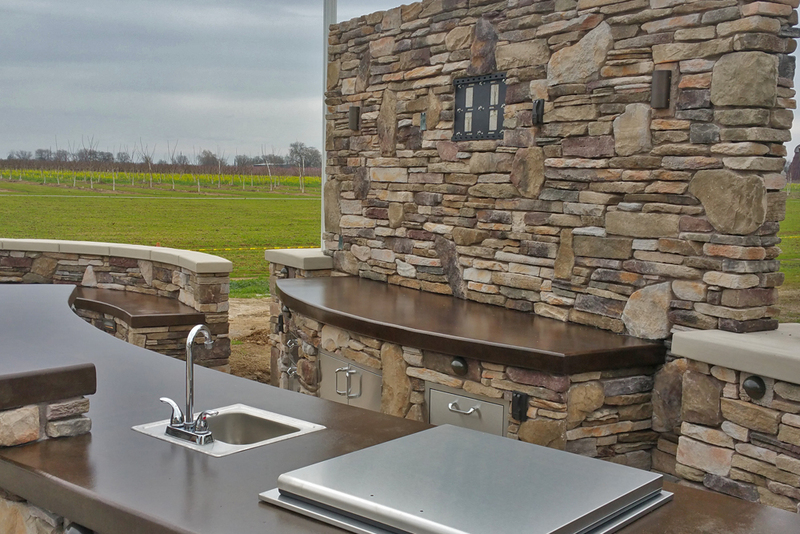 Completing the thoughtful details are two glass windows in the outside of the bar, giving a beautiful decorative element to the whole. 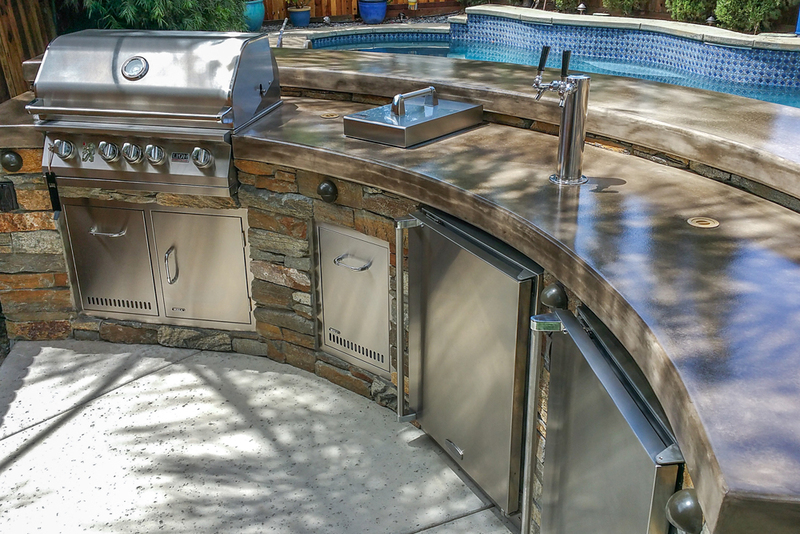 In terms of functionality, this outdoor kitchen features a grill and a stovetop range, as well as a refrigerator, sink, and storage space. 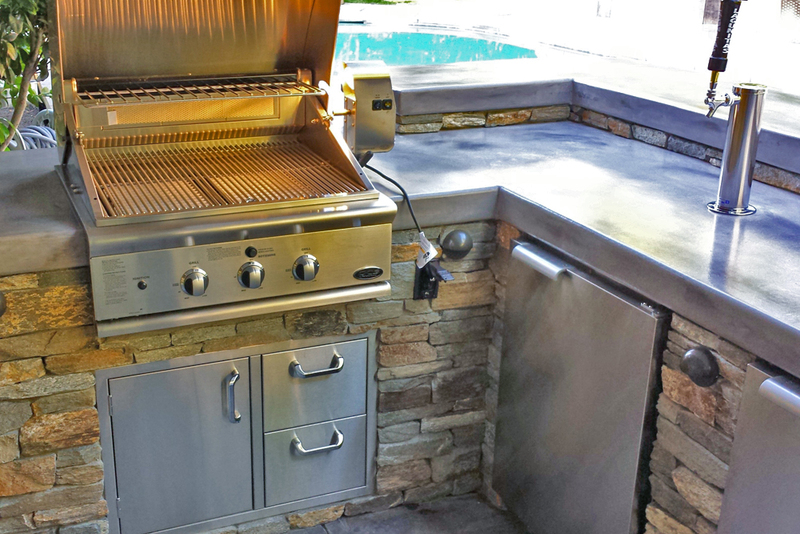 In other words, it is completely set up for meal preparation and even cleanup. 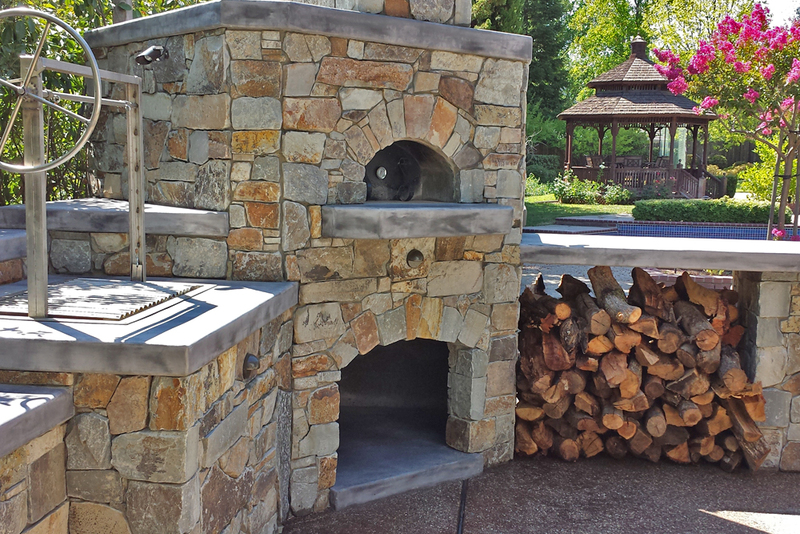 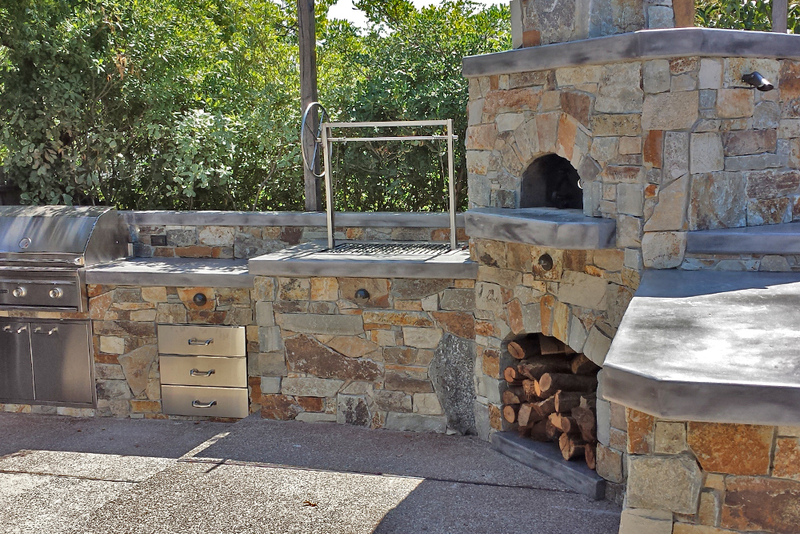 When it comes to maximum functionality and gorgeous style, this outdoor kitchen is top of the line. 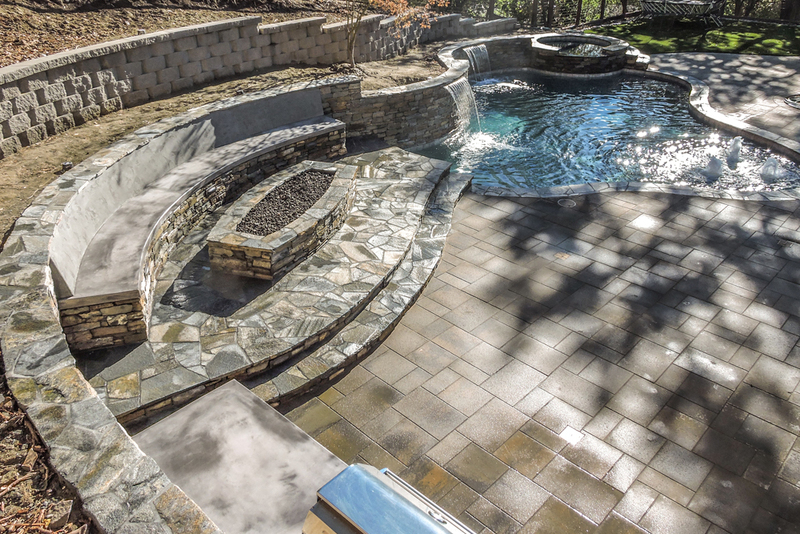 It is obvious that this entire outdoor space is designed for living in: the stamped concrete walkways around the pool, which we also installed, create a beautiful landscaped effect, and there is even a basketball net. 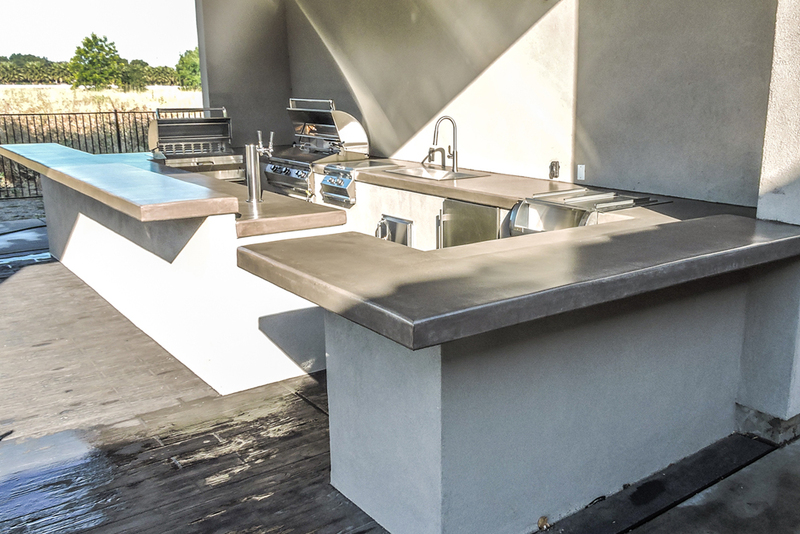 As with all of our outdoor kitchens, functionality and lifestyle is key, and in this case the lifestyle includes space for children to play, a setup for easily creating delicious meals outdoors, and plenty of relaxing by the pool. 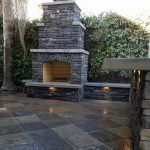 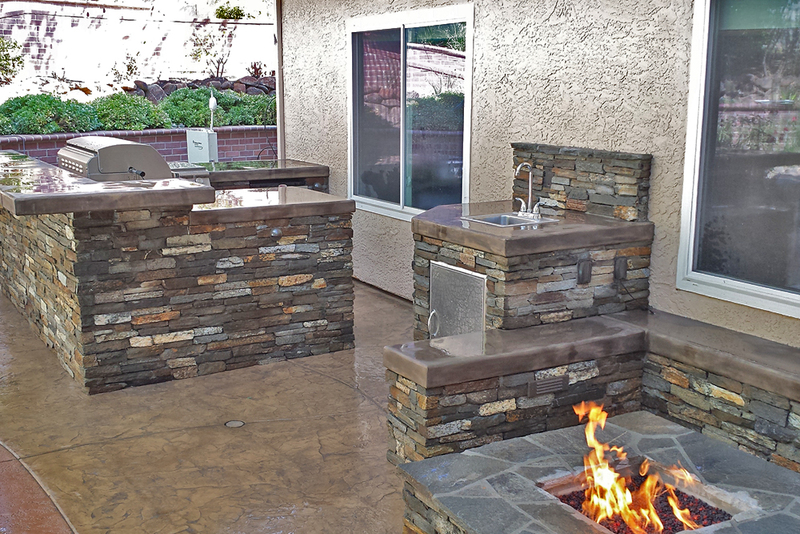 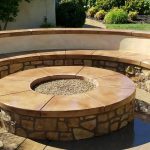 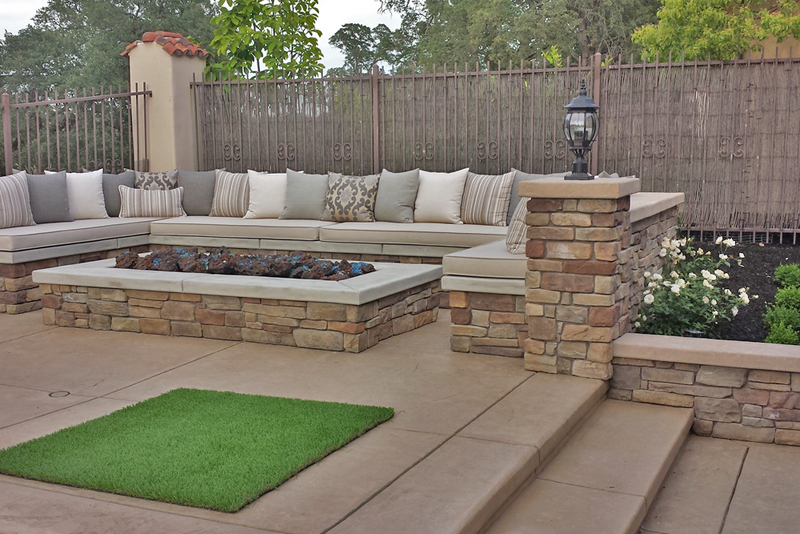 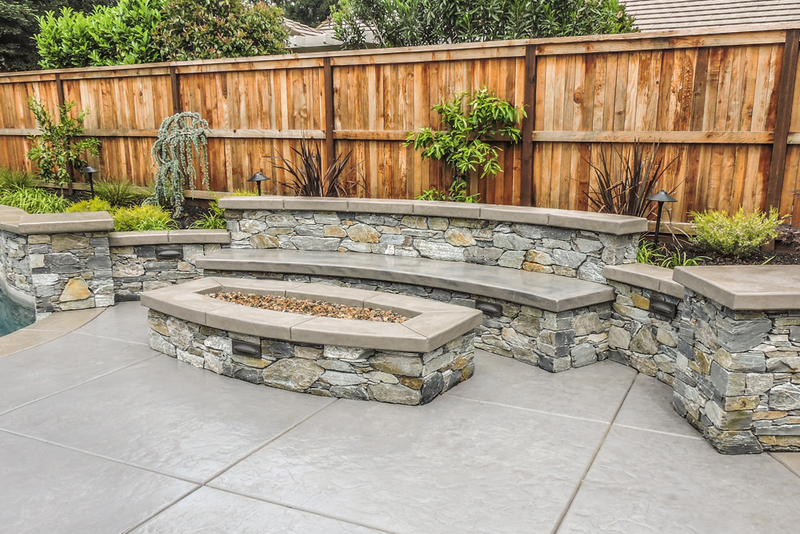 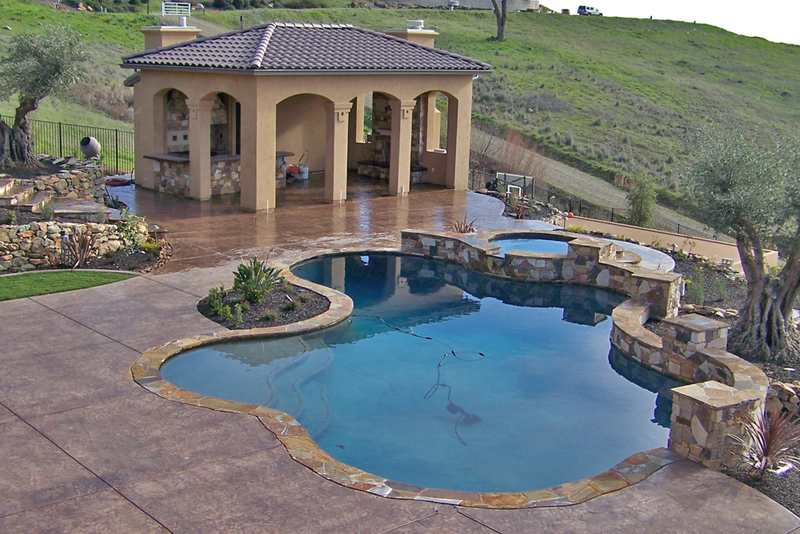 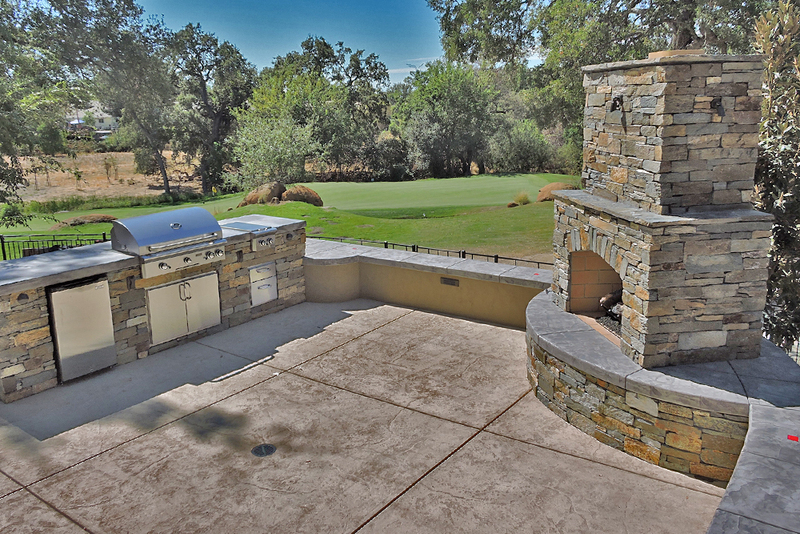 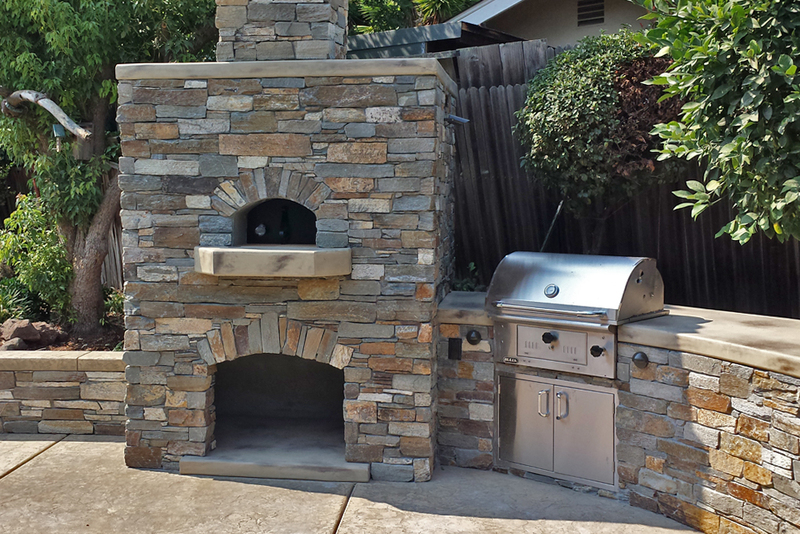 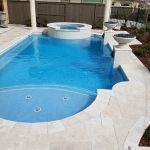 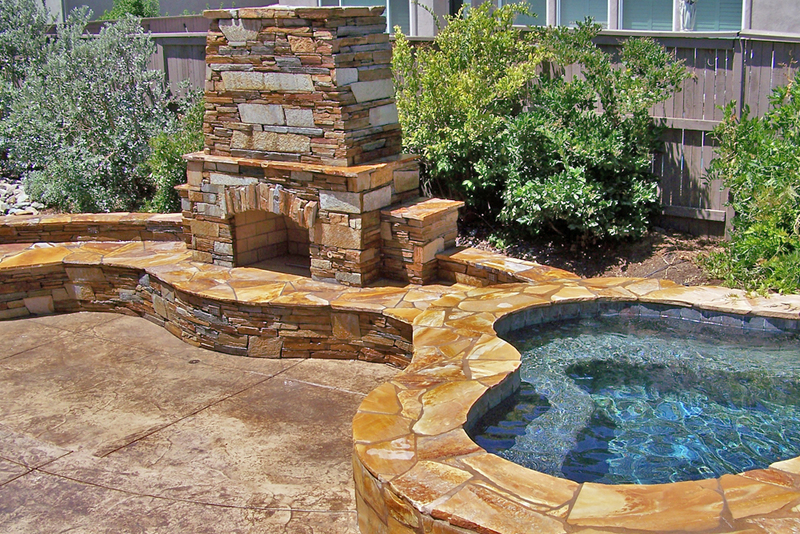 Here at Custom Image Hardscapes, our mission is to provide our customers with outdoor kitchens and outdoor living spaces that fit their lifestyles and their Sacramento, CA homes. 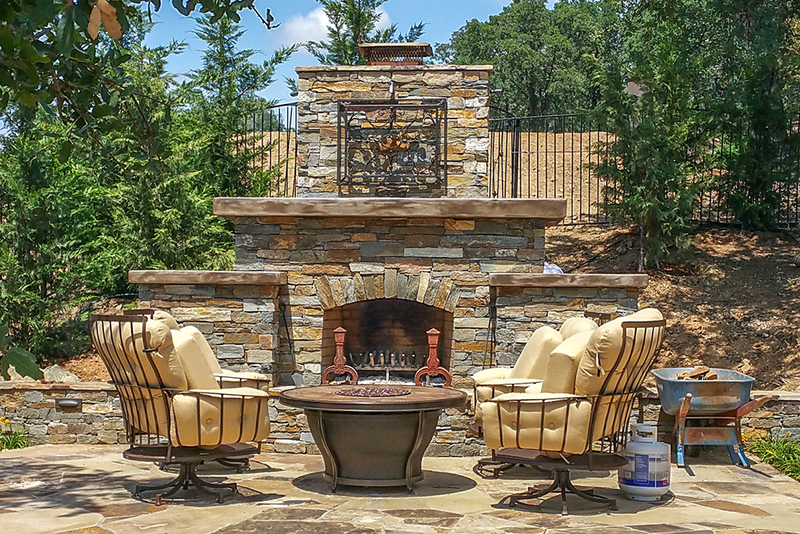 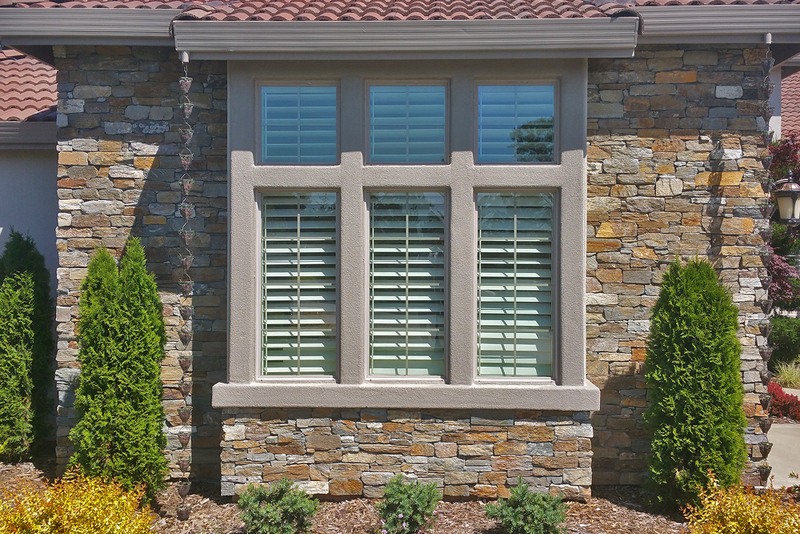 Give us a call today and find out how we can make your outdoor living dreams a reality!